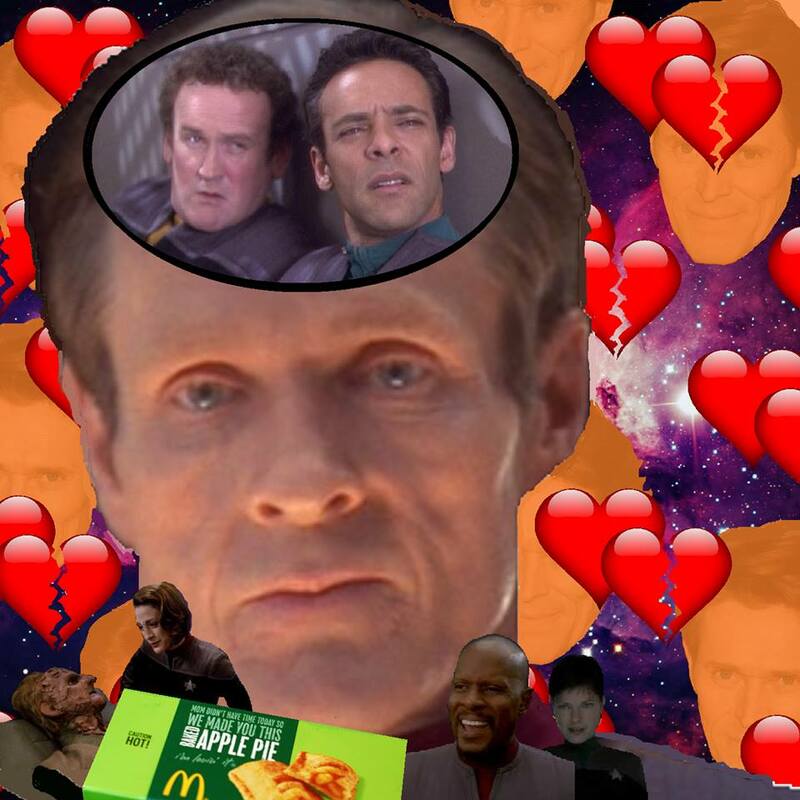 This week, we’re taking another trip into the Sloan Bone Zone (Act 1) to further discuss the possible homosexual overtones between Sloan and Bashir’s relationship that we first explored back in our coverage of Inter Arma Latin Whatever! We may not have Brandon to guide us this time, but we’re instead joined by returning champion Daniel Carrigan and first time guest Breanne! Together, we figure out what McDonald’s product a dying and gross Odo (Grodo) most closely resembles, we reflect on the 1997 classic, RocketMan and we even take a much deserved cigarette break. Strap yourselves in, because things get WACKY on this one!